Mr. Kearney’s position is Vice President of Business Development for Eta Technologies LLC (ηTech). In this role, he is responsible for the management of all business development and sales efforts for Eta Technologies LLC. 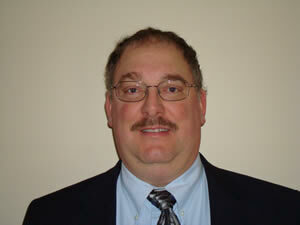 He has direct sales responsibility for parts and service sales for the V-Series engines. Prior to ηTech’s formation in 2005, John worked at Sermatech (Manchester, CT) as a Sales Engineer and as a Repair Engineer, where he pioneered many successful improvements to extend gas turbine component serviceability through the application of upgraded materials, improved coatings, enhanced cooling and geometrical modifications. Prior to joining Sermatech, he worked for Conectiv Energy Supply (Wilmington, DE) in quality assurance, plant engineering, operations and maintenance, including ten years at the first V84.2 gas turbine/combined cycle plant. Before that he worked for United Engineers and Constructors (Philadelphia, PA) and Ohio Power Company (Steubenville, OH). John has a total of 36 years of experience in the power generation industry in various Engineering, sales and customer support positions, as well as management roles in operations, maintenance, engineering and sales. John was born in Pennsylvania, and received his BS in Electrical Engineering from the University of Pittsburgh in 1977. He served as the first Siemens V-Machine Roundtable Chairman for the Combustion Turbine Operations Task Force (CTOTF).